Kristen has been creating & producing festivals for the past 10 years including the much-loved twilight concert, Legs 11 at The Domain, which celebrated women (both on and off the stage). 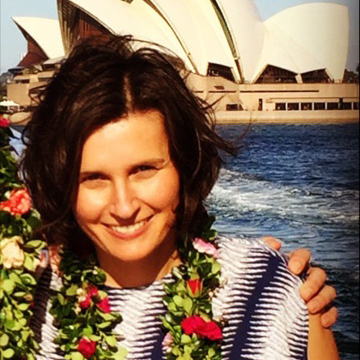 Most recently, she has produced the hugely successful Wine Island on Sydney Harbour, now in its 4th year. Aside from producing festivals, Kristen has held many roles in the music industry such as A&R and Artist Manager, so it’s suffice to say, she is passionate about music (and wine) and bringing unique ideas to new audiences. This is her second year working with TEDxSydney.